If you're a political junkie like me, you're probably looking forward to the first presidential debate tomorrow night between Barack Obama and John McCain. Even if you're not a political junkie and you're just interested in the race, it should be pretty interesting to watch. 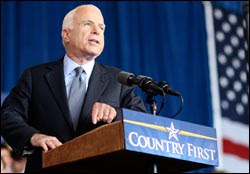 McCain has been saying for the last day or so that the debate should be postponed so that he and others in Congress can concentrate on devising an effective plan to fix the country's economic crisis as soon as possible. Obama says the debate should go on as planned. I agree with Obama. And I'm pretty sure that the debate will go on as planned, and that McCain will show up in Mississippi on the plane from Washington, D.C. in time. If he doesn't, it will reflect poorly on him, and many people will lose some respect for him, myself included. The debate is Friday night, September 26th, at 9:00 p.m. Eastern time (kind of a weird day and time for a debate). It will be on all of the major networks. 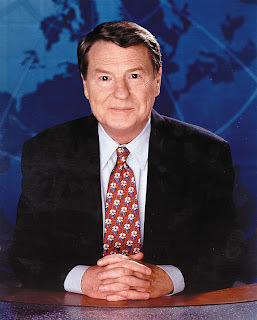 The moderator is going to be Jim Lehrer, who was the Commencement speaker when I graduated from Penn six years ago. The subject is going to be foreign policy, McCain's supposed strength and Obama's supposed weakness, so it should be pretty good! 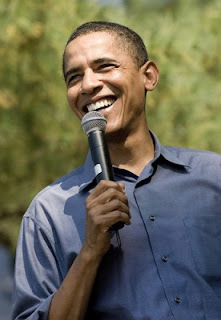 To be fair and balanced, I should include a picture of Obama, since there's one of McCain up there.